Aferrix is an innovative leader in development and applications of novel tools for early diagnosis and monitoring of toxic iron in the serum. The company has developed several methods that quantify different forms of toxic iron in the serum, which are not detected by conventional tests. Aferrix offers iron testing services and kits for research and treatment centers that specialize in iron over load diseases (Thalassemia, Hemochromatosis, Myelodysplastic syndrome) and to pharmaceutical companies that are developing iron chelators. The company was founded by Prof. Zvi Ioav Cabantchik, Department of Biological Chemistry, Alexander Silberman Institute of Life Sciences, Hebrew University of Jerusalem, Jerusalem, Israel. 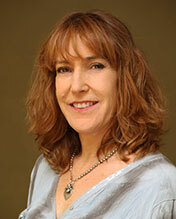 Yael has over 20 years cross-functional management experience in the life-science/medical-device industry. Multidiscipline, hands-on experience throughout the medical device "life cycle". From, proof of concept, product development, through clinical trials, IP and regulatory affairs to production, commercialization, marketing and sales. Ms. Furman holds M.Sc. form Sarah Lawrence college in NY and MBA for Hewitt-Watt University. Prof. Cabantchik is a Professor Emeritusof Biochemistry at the Institute of Life Sciences at the Hebrew University of Jerusalem. His academic research was focused on novel approaches for tracing the status of toxic iron in biological samples, its involvement in iron overload metabolic and neurologic disorders. Prof. Cabantchik founded Aferrix based on the diagnostic and monitoring technologies he developed. He is a worldwide expert and speaker on Iron metabolism. In September 2015: Prof. Ioav Cabantchik was elected for the next president of the International BioIron Society (IBIS) and is the 2015 recipient of the Marcel Simon awarded for excellence in research. Assaf has over 15 years combined academic and industry R&D experience. 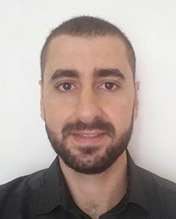 Assaf joined Afferix in 2013 and is responsible for all technological aspects: product validation and improvement, management of service laboratory, production and customer's training and support. 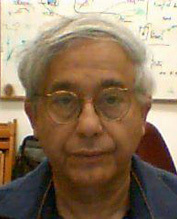 Assaf holds a Ph.D in Biotechnology and an MBA from Tel Aviv University.